"Hey, we could actually use prison labor." A Finnish AI startup called Vainu has spent the last three months relying on prison labor to train its AI algorithm. Vainu previously paid people through Mechanical Turk, a service where people perform menial tasks — like those necessary for preparing AI’s training data — just like many other startups. But Vainu found that it got more bang for its buck enlisting the Finnish Criminal Sanctions Agency (CSA), which had access to more Finnish-speaking labor than the largely English-speaking Mechanical Turk, according to The Verge. And though Vainu and the CSA are working hard to spin the news as a positive development for the prisoners, Vainu’s practices seem to herald in a new era where prison labor continues to provide cheap, unrewarding labor, even if the specific jobs involve new technology. Vainu uses human labor to scan news articles and determine whether or not they discuss business acquisitions or similar topics. That way, the company can use those articles to train an AI algorithm that Vainu hopes will help connect companies with contractors, according to The Verge. But there was only one person on Mechanical Turk that helped Vainu scan articles written in Finnish. Vainu pays the CSA, which divvies a portion of the cash among working prisoners, roughly the same amount it would for the same labor on Mechanical Turk. But that means that the actual workers make less money through this arrangement than on Mechanical Turk, which The Atlantic reports tends to pay out just a few dollars per hour. 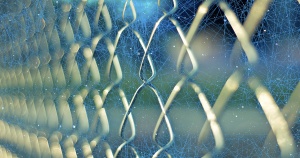 The CSA claims that by working with an AI startup, the prisoners are building up job skills that are relevant in a society facing ever-increasing workplace automation. But there’s no indication that performing these routine tasks will actually help inmates land an AI job once they’re release from prison.